Scott Tipton is a U.S. Representative for Colorado’s 3rd District. Tipton was first elected in 2010. Tipton supported President Trump’s executive order calling for a review of national monuments, as well as the Interior Department’s decision to revisit sage grouse habitat protection rules. Tipton supports making public lands transfers easier, and opposes efforts to limit methane pollution. Tipton believes the Land and Water Conservation Fund needs to be reformed. U.S. Representative Scott Tipton Supported President Trump’s Review of National Monuments . 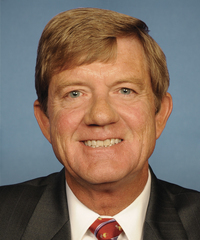 U.S. Representative Scott Tipton Supports l Making Public Land Transfers Easier. U.S. Representative Scott Tipton Supported the Interior Department’s Decision to Revisit Sage Grouse Habitat Protection Rules. U.S. Representative Scott Tipton Believes the Land and Water Conservation Fund (LWCF) Needs to be Reformed.